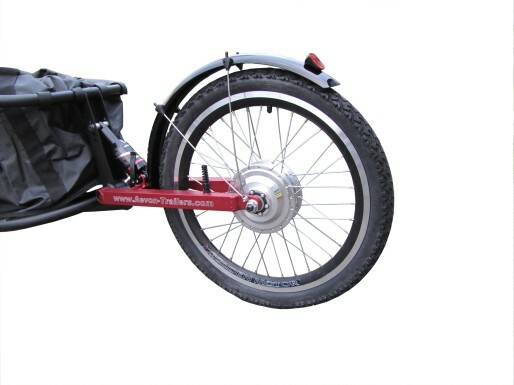 The E-trailer is an Aevon trailer with an electric motor. 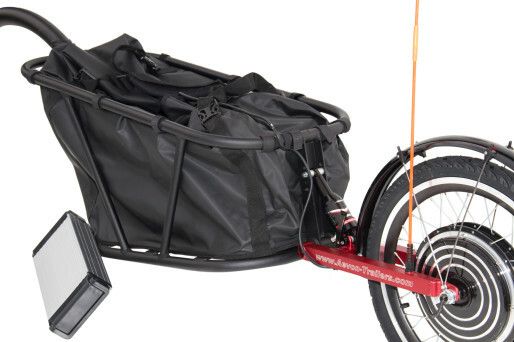 Carrying luggage by bike has never been so easy ! The meeting of savoir-faire between company Cycloboost and Aevon brand offers a top-range product. Fruit of the meeting between Aevon and Cycloboost, the E-trailer will amaze you ! The driving is so easy and efficient. The E-trailer will follow you in the most challenging trips. Two electric kits are adapted to different uses. A Balade kit up to 500W (low-energy consumption) will be adapted to a regular use and for long trips. An Xtrême kit up to 1000W (more energy-consuming but more powerful) will enable a higher speed. The battery gets fitted inside the trailer, at the bottom of the bag to lower the gravity center and improve the roadholding. The autonomy is different depending on the capacity of the battery chosen : you can then go for 40km (battery of 10Ah) or more than 100km (battery of 20Ah) on average. 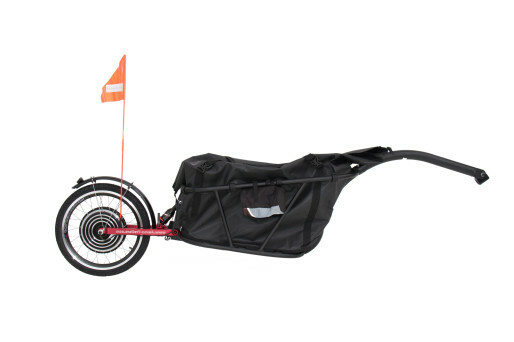 The technical characteristics of the trailer depend on the choice of the motor. Consult the trailers to know the corresponding characteristics.